When would you like to stay at White House Hotel - Check Availability & Room Rates!!! 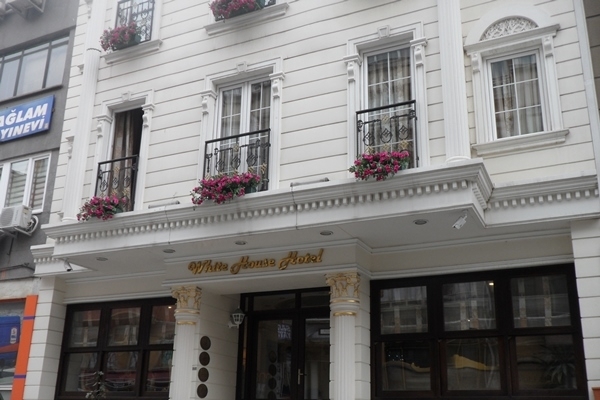 White House Hotel Istanbul located on Catalcesme Street, Sultanahmet/Istanbul. With splendid location, White House Hotel Istanbul is a minute walking distance to Hagia sophia as well as all prominent sites in Old city. You can feel at home by turkish hospitality, Friendly staff and perfect services as; Hair dryer, in-room safe, daily housekeeping service, Wireless Internet Access, double glazed Windows, Individually Controlled Air Conditioning, Iron and Ironing Board on request as well extra Bed/Kid Bed.22 well-designed rooms are equipped with minibar & coffee/ tea makers. How far and How long will it take from/to the White House Hotel Istanbul from/to International Airports and cruise Ports.